Argentine tango is a genre of music and dance born in the Argentine area of Rio de la Plata. Its origins extend far and wide in the world, blending African, Italian and Argentinian indigenous rhythms into a wonderful, rich and unique style which allows and encourages much freedom of expression. The lyrics, many true literary gems, often tell evocative stories of people or places. For someone who does not speak Spanish the effort to decipher them is well rewarded as it helps one understand the music of this genre to a much deeper level and brings it closer to the heart. It is widely agreed that Enrique Santos Discepolo offered the closest definition for Argentine tango: 'a sad thought that is danced' ( 'un pensamiento triste que se baila'). 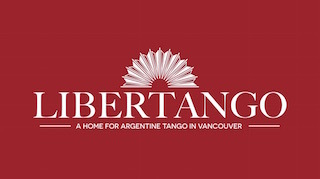 Argentine tango is first and foremost about community; it is about family and friends spending time together in a warm environment of music and dance. Argentine tango is not just about music and dance, it is about an entire culture which may be more or less close to what you have experienced in your life so far. I encourage you to go to many places where it is danced and see for yourself if this is something that you would like to pursue. I strongly encourage you to travel to Buenos Aires because no other experience compares.